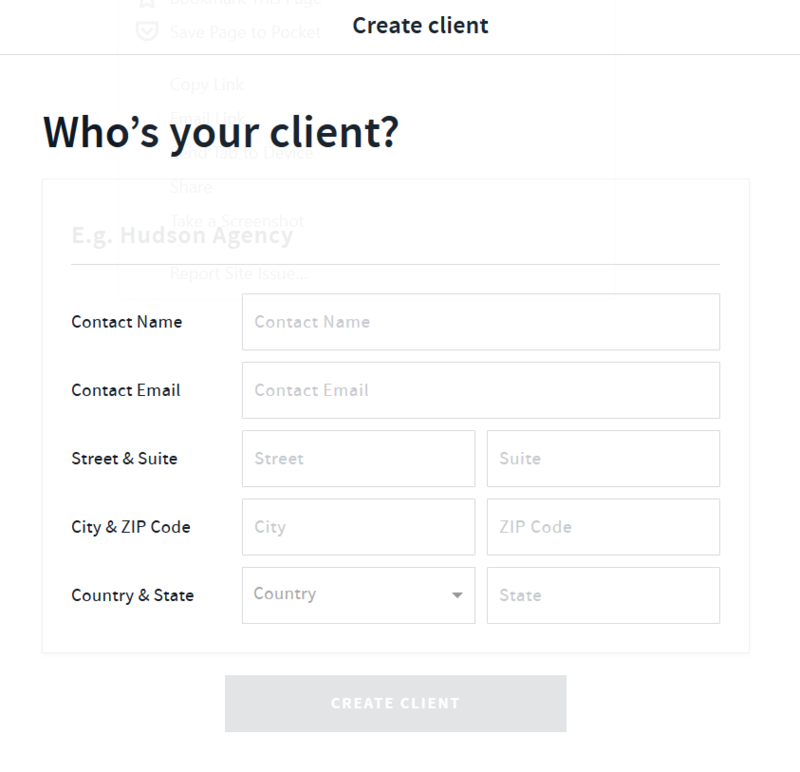 You can add your clients details along with any contacts related to the client within AND CO using the web-app. Select 'Create Client'. Once your client has been created you can then add additional contact details to the client via the Client card > Add Contact. Deleting the client will delete the client and contact details completely. Once a client is created you can always view the client via the clients tab along with any tasks, projects, invoices and expenses. You can edit the name of the client by clicking on their name at the top of the screen! On the Free plan, you may have an unlimited number of clients, but only be able to make one "active" at a time. See here for more information about active clients!